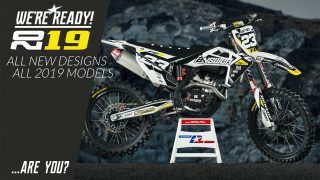 Decallab MX Graphics has templates of over 300 different models- Yamaha Suzuki Kawasaki Honda Ktm Husqvarna Tm Can-am Gasgas Sherco Aprilia Husaberg Beta Bucci and more! Decallab Mx Graphics uses premium 21 mil thick decal films specifically designed and used for motocross ATVs, kart side-x-sides and other extreme applications. 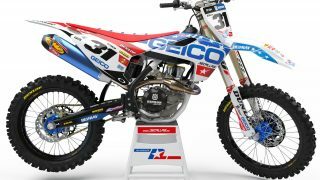 We use 6mil decal film with the most aggressive adhesive for low-energy surfaces in the industry such as MX plastics, covered by 15mil high-gloss or matt lamination, designed to withstand professional MX 1 and AMA pro motocross riders’ anger. 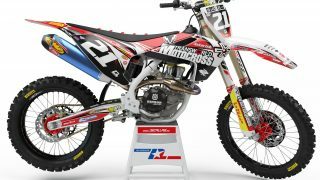 The combination of these materials gives you MX1 and AMA pro motocross quality product. 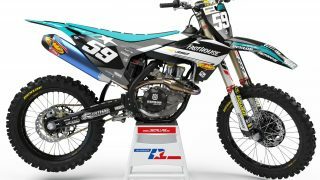 If decal works for them- you do not need to worry about your motocross racing. An excellent material alone is not enough to ensure outstanding product quality, which is why our company is using only and solely tested and tried graphics templates, and Decallab Mx Graphics pays particular attention to the print quality of graphics, which must be perfect and impeccable every time, all the time. Our product has earned popularity among clients on all continents and even in such faraway countries as Guam, New Zealand, Sri Lanka, among many others. Over the last few years, we have built excellent co-operation with the reliable, globally operating courier companies TNT and UPS. These companies deliver the shipment to your doorstep anywhere in the world in 2–3 days, but in some cases, in up to 7 working days. Each shipment has its unique tracking number, which allows keeping track of the shipped graphics made by Decallab. We offer free delivery if you buy more then 5 Decallab graphics sets. Decallab is not responsible for any customs handling fees, duties or taxes that result from importing merchandise to your country. Please check with your local customs agency for details regarding possible duties or taxes on your order. Decallab is not responsible for failure to deliver packages due to non-payment of customs fees, handling fees, duties or taxes. 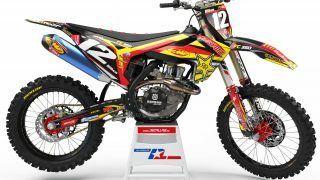 Our excellent designer team will always make your graphics with the rider’s ID, logo and number at no extra cost, as this service is included in the product price. The design of all products purchased on the website Decallab.eu will be customised according to the client’s requests, instructions and sent to the client’s indicated e-mail address for checking and approval before printing; if the client does not reply or take any action within 24 hours, the product will be made as is, without waiting for the client’s approval. Our team of designers will seek agreement no more than 3 times.